I am glad I attended the public forum on "Caring For The Frail Elderly At Home" held at Singapore's Changi General Hospital this morning. In just two and a half hours I listened to seven presentations ranging from 'Home Safety' to 'Managing Medication'. 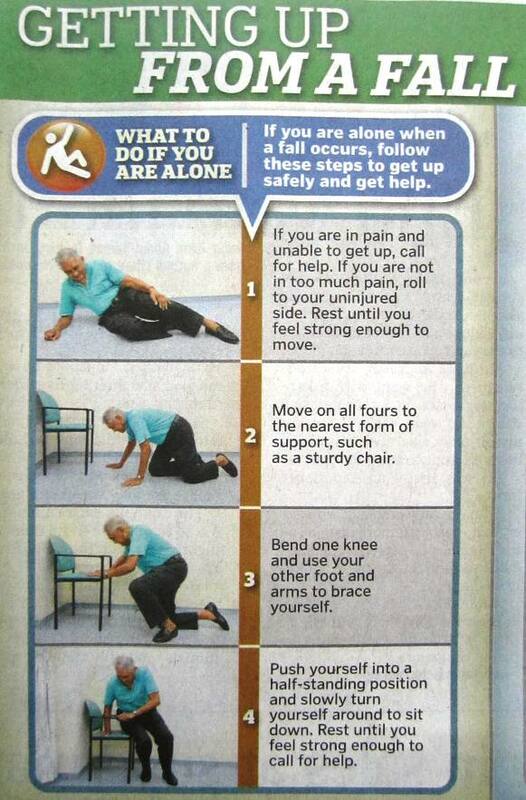 What I would like to share here is how to prevent falls at home. Many of us have elderly parents who either live on their own, or are left alone at home most of the day. I recommend that you check out this link 'NO FALLS PROGRAMME'. It contains plenty of useful information on how to make your home safe. It covers safety tips for the bathroom, bedroom, kitchen, living room, with practical advice on flooring, lighting and footwear. Check out the videos too. 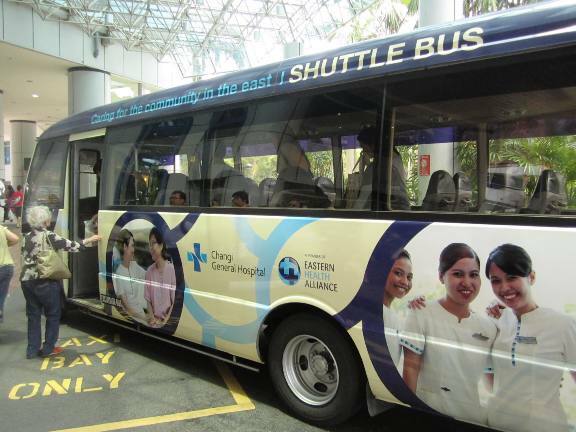 The hospital's shuttle bus that provides free rides between the hospital and Simei MRT station every 15 minutes. I shudder when I think back to that fateful afternoon of March 6, 2011 - the day my mom fell and broke her hip. Her life changed forever after that, and mine too, in many ways. My mom went through six months of physical discomfort and depression. As her sole caregiver, I must say it was one of the most stressful periods of my life. Click on the link to read my personal account of caring for my mom. 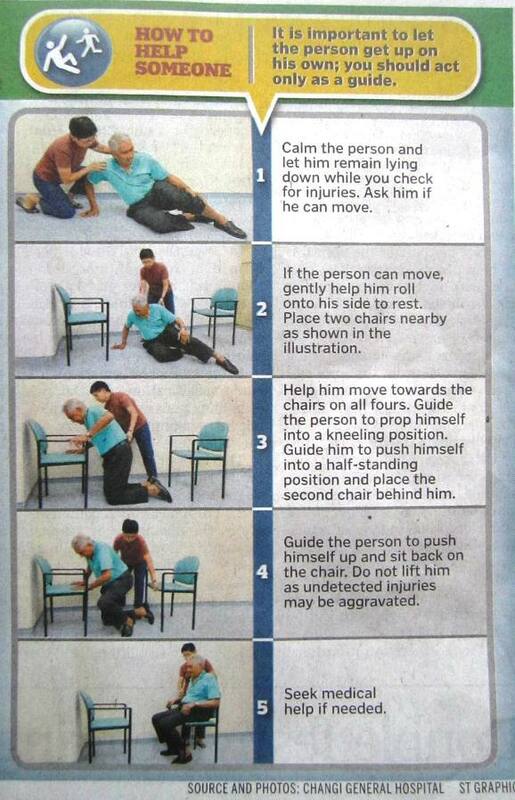 So if you have an elderly parent who is alone at home most of the time, do share the information here with him.